Beautiful two story triplex of townhomes being sold in its entirely. 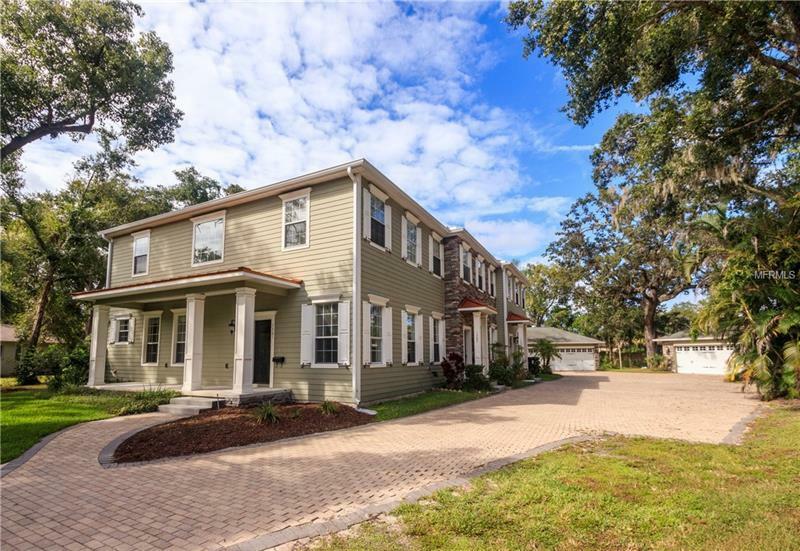 Each unit offers 3-bedrooms and 2.5 baths with living square footage ranging from 1744 to 1828 sqft of living area this home is move in ready and would be an excellent investment rental. The downstairs area has plenty of windows throughout allowing in plenty of natural light and the vaulted ceilings reach ten feet. The stunning kitchen is fully equipped with whirlpool appliances stone countertops dark stained cabinets and a gas range. The half bath and these separate laundry room with Kenmore washer and dryer aside the work desk completes the first floor. Upstairs are the 3 bedrooms and 2 baths which are carpeted. The spacious walk-in closet en-suite bath with a shower and dual sinks are a few of the upgrades in the Master. The shared baht offers a bath tub and shower combo. The other two bedrooms are roomy and each offers a walk-in closet. Detached from the townhouses are the three private 2-car garages. Located just blocks from Mead Garden you have quick and convenient access to downtown Azalea Lane Tennis Center Park Ave Rollins College Full Sail downtown Orlando and entry on to Interstate 4 from Princeton. Great location beautiful units wonderful investment- don't miss out on behalf of your investors.